Skinny Moscow mule cocktails are just as good and the original with less sugar, for a refreshing, lower calorie cocktail. A few years back my husband told me about this drink he had served in a special copper mug called a Moscow Mule. 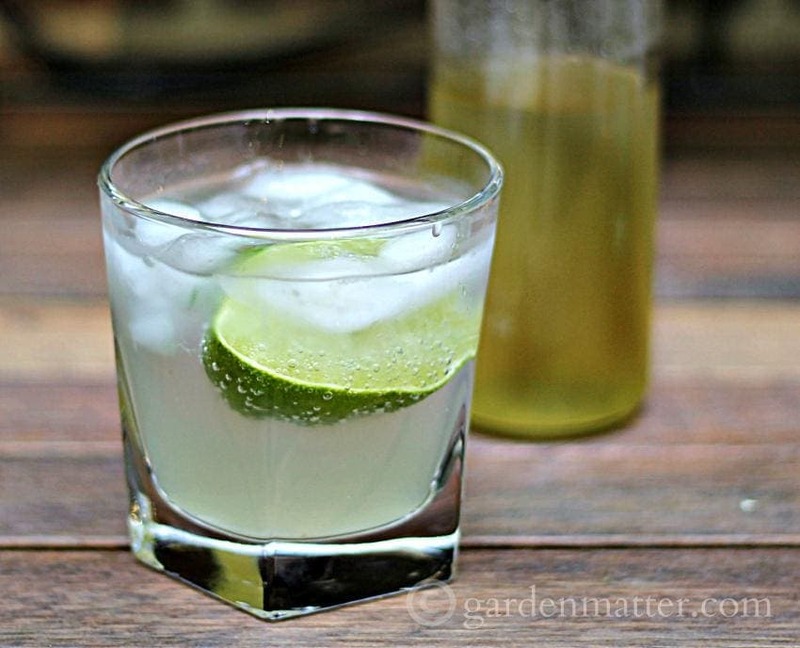 I’m sure many of you have already heard of this vodka based cocktail made with ginger beer and lime. When I tried it, I loved the flavor, and though we didn’t have the special copper mugs, we often enjoy this refreshing drink, especially in the summertime. The only problem I find is that there are a lot of calories in the gingerbeer, and diet ginger ale just didn’t cut it. So I went on a quest to try to make something that was similar but with fewer calories. I made my own ginger syrup. It’s really easy. Just make a simple syrup with slices of fresh ginger. I typically use one cup of sugar, one cup of water and one cup of sliced fresh ginger. Bring it to boil and stir until the sugar dissolves. Then remove it from the heat and let steep for about an hour. Strain the ginger out and keep in a bottle the refrigerator. The fresh ginger is pretty strong so you really don’t need much of the syrup to get great flavor. You can also try using honey instead of ordinary white sugar to make this skinny Moscow mule drink. Don’t have time to make the ginger syrup? You can buy it online . The key is to make sure to use as little as you can, to get the flavor you like, without all the extra sugar and calories. Place equal parts vodka and ginger syrup in a glass. Squeeze the juice of half a lime in and add the lime wedge. Top off with lemon/lime seltzer water. How do you make the ginger syrup? I typically use one cup of sugar, one cup of water and one cup of sliced fresh ginger. Bring it to boil and stir until the sugar dissolves. Then remove it from the heat and let steep for about an hour. Strain the ginger out and keep in a bottle the refrigerator. Thanks for bringing this to my attention. I need to update the post to include these instructions. You don’t need much of the syrup for the drink to taste good. You can also make a simple syrup with honey. How much honey would I use to replace sugar? I have never tried making a simple syrup with honey but my guess would be to keep it the same. Equal parts of honey to water. I also can’t wait for you to make these at the beach!